Sunday's schedule is available in PDF. Join us on Sunday, May 5, 2019 at Santa Clara University's Schott Stadium for the noon time game, San Diego vs SCU Broncos. MVLL has special pricing for single tickets (reg. $10). Use the promo code mtnview19 on the ticket website, SantaClaraBroncos.com, to recive the discounted price of $8. MVLL and Stanford Baseball have arranged for a very special event. MVLL Little League Day will take place on Friday, April 26. Activities begin at 5 PM. Game time is 6:05. The night game will be Arizona vs Stanford. Use the promo code below to purchase $7 Reserved tickets. This is a great team-building event. The code ‘MVLL’ is used at http://www.gostanford.com/promo-code to obtain the discounted ticket price. Tickets for both Giants and Oakland Little League Days go on sale at MVLL's Opening Day at Shoreline. Tickets can be purchased at Opening Day. Payment can be done in cash or check or using PayPal (a $1 convenience fee per ticket is charged when paying online). Tickets can also be purchased online until they sell out. Please email Ticket Orders at tickets@mvll.org with your request for tickets and to confirm that tickets are still available. After receiving a confirmation, payment can be made using PayPal (a $1 convenience fee per ticket is charged when paying online). Registration for Junior Division Remains Open. All Other Divisions CLOSED. Registration for T-Ball, Rookie, Farm, Minors, and Majors Divisions is closed. Registration for the Junior Division (13-14) is open. Our events calendar for 2019 was updated on Jan 2 to change Juniors practice time for Saturday, Jan 5. Calendar is in PDF. The McKelvey Detention Basin project is estimated to be completed in July 2019 or later. We will be utilizing the Shoreline Athletic Fields complex in 2019 as we did for 2018. 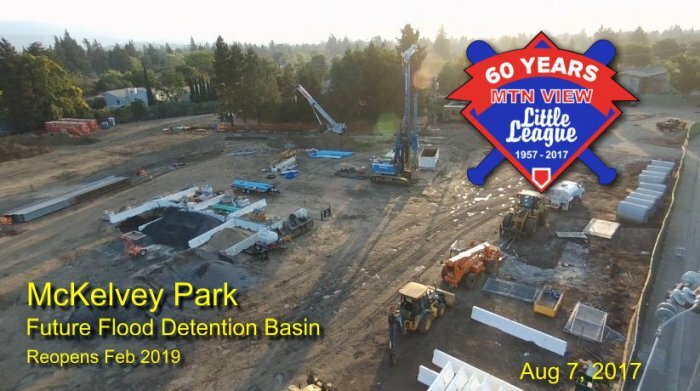 An adverse impact from the delay may be that we can only field one Juniors Division team due to insufficient big baseball diamond availability in Mountain View. Little League International has an information page about the decertification of bats. There is currently one bat listed: Easton Ghost X 30/20 5/8. As of January 1, 2018, the new USA Baseball Bat Standard are implemented. Little League-approved baseball bats that were in use during the 2017 season will no longer be acceptable for use in any Little League game or activity starting on January 1, 2018. APPROVED BATS MUST BE USED IN ALL LITTLE LEAGUE ACTIVITIES. IF IT'S NOT APPROVED, IT CAN'T BE USED. Bats having the USA Baseball Bat marking are now available for purchase from retailers. Tee Ball bats will not be manufactured with a logo. 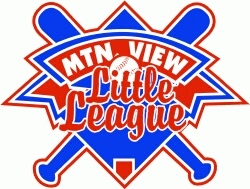 MVLL will inspect Tee Ball bats used in the league and affix a sticker. 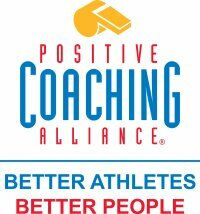 Watch for our bat certification event announcements. The new rules provide wood-like performance on non-wood bats. Look for the USA Baseball licensing trademark on approved bats. The following is the new rule in effect. Beginning with the 2018 season, non-wood and laminated bats used in the Little League (Majors) and below, Intermediate (50-70) Division, Junior League divisions, and Challenger division shall bear the USA Baseball logo signifying that the bat meets the USABat – USA Baseball’s Youth Bat Performance Standard. All BPF – 1.15 bats will be prohibited beginning with the 2018 season. Additionally, starting in 2018, the bat diameter shall not exceed 2? inches for these divisions of play. Additional information is available at LittleLeague.org/batinfo. Tee Ball: Under the USABat standard, certified Tee Ball bats (26" and shorter) will feature the USA Baseball mark and text which reads ONLY FOR USE WITH APPROVED TEE BALLS. All Tee Ball bats must feature the USA Baseball mark and accompanying text. Tee Ball bats that were produced and/or purchased prior to the implementation of the new standard can be certified using an Approved Tee Ball Sticker via the USA Baseball Tee Ball Sticker Program (USABaseballShop.com) beginning September 1, 2017. Minor/Major Divisions: It shall not be more than 33 inches in length; nor more than 2? inches in diameter, and if wood, not less than fifteen-sixteenths (15/16) inches in diameter (7/8 inch for bats less than 30") at its smallest part. Wood bats taped or fitted with a sleeve may not exceed sixteen (16) inches from the small end. Intermediate (50-70) Division and Junior League: It shall not be more than 34" inches in length; nor more than 2? inches in diameter, and if wood, not less than fifteen-sixteenths (15/16) inches in diameter (7/8 inch for bats less than 30") at its smallest part. Wood bats taped or fitted with a sleeve may not exceed eighteen (18) inches from the small end. NOTE 4: Non-wood bats may develop dents from time to time. Bats that have cracks or sharp edges, or that cannot pass through the approved Little League bat ring for the appropriate division must be removed from play. The 2¼-inch bat ring must be used for bats labeled 2¼. The 2?-inch bat ring must be used for bats labeled for 2?.